← THE SHADOWS BEHIND cover reveal! Today, there are people living in Fordlandia, but it’s still in the shadow of the rotting, overgrown buildings of its past. There is, however, a small museum housed in one of the former manager’s homes. Certainly, Fordlandia hasn’t been completely ignored. Filmmaker Werner Herzog credits Fordlandia with inspiring 1982’s Fitzcarraldo (Herzog is also directing a forthcoming Fordlandia television series, according to several sources). In 2015, Washington, D.C.’s Art Museum of the Americas featured the exhibit Fordlandia: The Lost City of Henry Ford, which featured photographs of what was left of the city in 2012. A 2017 feature-length documentary, “Beyond Fordlandia,” chronicles the environmental status of the place. A stunning, Heart-of-Darkness-esque novel using Fordlandia as the backdrop for a dark drama was published in 2000, and more recently, the place has gotten a little more attention, thanks to a book by Greg Grandin, which was a finalist for 2010’s Pulitzer Prize. Fordlandia: The Rise and Fall of Henry Ford’s Forgotten Jungle City, by Greg Grandin. Posted on March 31, 2019, in Books and Boos Press, Deep Thoughts & Fun Stuff, Horror Stories, News, The Shadows Behind and tagged abandoned jungle cities, Fitzcarraldo, Fordlandia, lost cities in Brazil, rubber plantation history, short story Attempted Delivery, stories about the jungle, Werner Herzog, what was the name of Henry Ford’s city in the Amazon. Bookmark the permalink. 2 Comments. 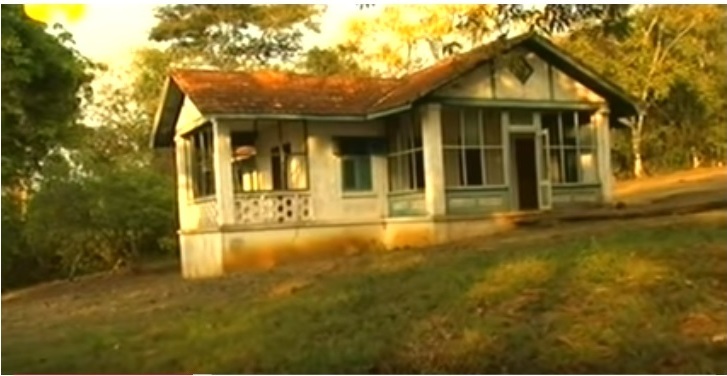 I don’t know why, but I am creeped out by Fordlandia. The photos are eerie and sad, like either the place or Ford himself was cursed from the get-go. Me too. Ever since I learned about it, I’ve been drawn to its amazing creep factor. There’s just something so haunting about it. It’s irresistible.